The pattern is by Ann's Paper Art the pattern number is a049x_b. Threads are Mettler Polysheen 1913, 3953, 3971. Silver peel off sticker by Starform. I enjoyed creating this card for my husband and I hope that you like it to. 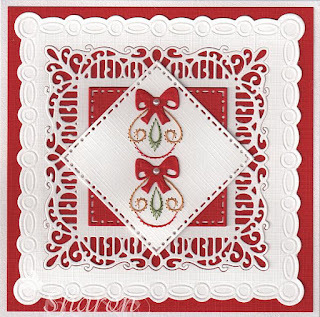 A Christmas card created with a pattern by Ann's Paper Art, the pattern is a379. 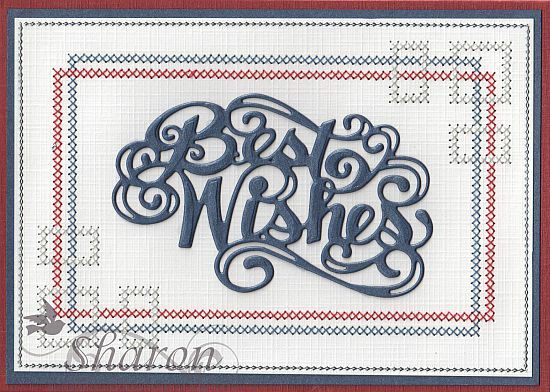 I have combined the pattern with Sue Wilson, Madison Square CED4104. The die comes with 4 dies in the packet and can be used in many ways. 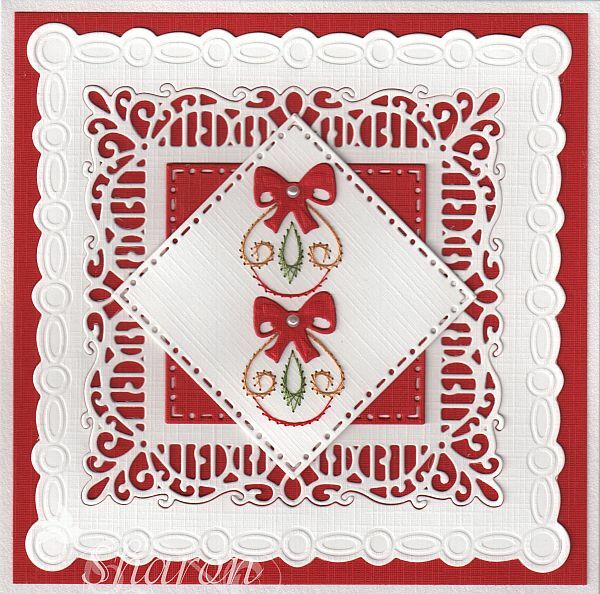 To create the bow I used Precious Marieke "Glamorous Christmas"die. I added a pearl in the centre of the bow. 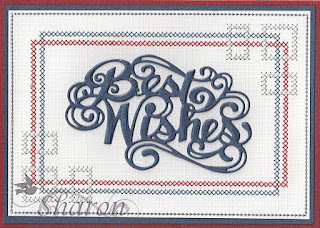 The card is very quick and easy to stitch and assemble, yet stunning!!! to combine with your stitching patterns.